A disgruntled Forever 21 employee has caused an internet uproar by leaking a letter that indicates that the company is demoting numerous full-time non-management employees to part-time positions, which means they will no longer receive benefits. According to the letter, an unnumbered but significant amount of employees will no longer receive paid time off, will not be allowed to work more than 29.5 hours a week and will no longer have health insurance. The company has been inundated with numerous comments on their Facebook page from angry customers who say they will never shop at Forever 21 again and who are blaming the change on aforementioned ACA requirements. The ACA has already kicked a number of companies, retail or otherwise, into overdrive with concerns about the cost of paying employees. Tangentially, Forever 21 has been part of a class-action lawsuit in which former employees alleged that they weren't paid for overtime. [Insert name here], thank you for reaching out. Forever 21, like all retailers, staffs its stores based on projected store sales, completely independent of the Affordable Care Act. After a recent evaluation, Forever 21 realigned its staffing needs to better reflect sales expectations. This realignment impacted less than 1% of all U.S. store employees. Forever 21 values all of its employees and made every effort to affect as few employees as possible in this realignment. 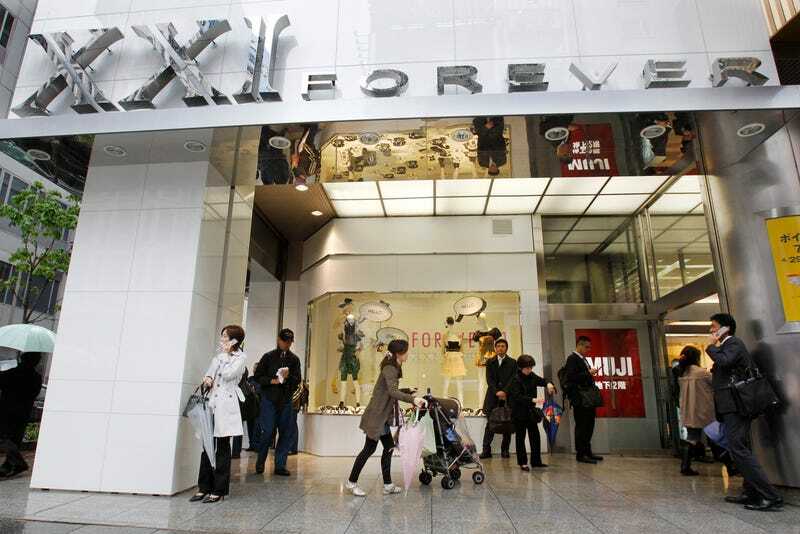 According to Forbes, Forever 21 has 30,000 employees, which would mean that approximately 300 employees nation-wide are being demoted due to this change in policy. The company is worth $3.4 billion, but is privately held. They use cheap labor and knockoff designs to keep their costs down, and because of that, have managed to expand at a rapid rate. They announced plans to open their first store in Russia just last month. ...minimize compliance risk by managing the complexities related to variations in work and pay rules, languages, and currencies. With one solution for all of its workforce management needs, Kronos will offer Forever 21 a comprehensive view of labor costs on a global basis. The Kronos forecasting and scheduling solution will ensure optimal labor coverage across all store locations, enabling Forever 21 to predict labor needs and easily control staffing demands. This will help reduce over- and under-staffing as well as minimize overtime costs. Reading between the lines, Kronos was brought in to literally reduce over-staffing i.e. cut real jobs and "minimize overtime costs" i.e. cut real jobs. I've emailed Forever 21 for comment and will update if I hear back.